Caleb Herbert's penalty shot was the only Stars goal in tonight's 3-1 Texas loss to Rockford. The goal, coming at 8:17 of the first period, was Texas's first successful penalty shot of the season. The other two attempts came from Herbert and Remi Elie. Tonight's attempt was courtesy of Rule 61.6, slashing. The lead was shortlived as the Stars gave up a power play goal to tie things early in the second. Brandon Mashinter's 14th of the year broke up an 0-for-18 streak for the IceHogs on the man advantage. Matheson Iacopelli scored halfway through the third to send the score to 2-1 and Jake Dowell's empty netter sealed the deal. Dowell's empty net goal was also a shorthanded goal, meaning that each type of goal that is possible in hockey (even strength, power play, shorthanded, penalty shot, empty net) was scored in the game. Justin Peters stopped 33 of 35. Texas hits the road for two in Milwaukee starting tomorrow. The Dallas Stars have recalled two forward from the Texas Stars ahead of tonight's game against the Rockford IceHogs. With injuries to both Curtis McKenzie and Ales Hemsky, Dallas called for Gemel Smith and Justin Dowling ot bolster their crew. Texas is in a precarious spot now. They rolled the following crew in their last game at forward. They lose two centers and have no one on the bench to replace them with as Austin Fyten is out for at least another week. Reid Sturos was signed yesterday and will clearly figure into the lineup. Texas could also opt to convert another defenseman to a forward, since Bystrom and Stevenson were both scratched last game. I'd guess that's what happens unless anyone knows a good way to get from Boise to Rockford in any sort of decent amount of time. Dallas Stars General Manager Jim Nill announced today that the club has recalled forwards Gemel Smith and Justin Dowling from the Texas Stars, Dallas' top development affiliate in the American Hockey League (AHL). Smith, 22, shares fourth on Texas with 11 goals and is tied for fifth on the team with 30 points (11-19=30) in 50 AHL games this season. He also paces the club with three shorthanded goals and is tied for fourth with three power play goals. Smith also made his NHL debut this season as the forward registered three points (2-1=3) in 12 contests with Dallas. The 5-foot-10, 190-pound native of Toronto, Ont. was originally selected by Dallas in the fourth round (104th overall) of the 2012 NHL Draft. 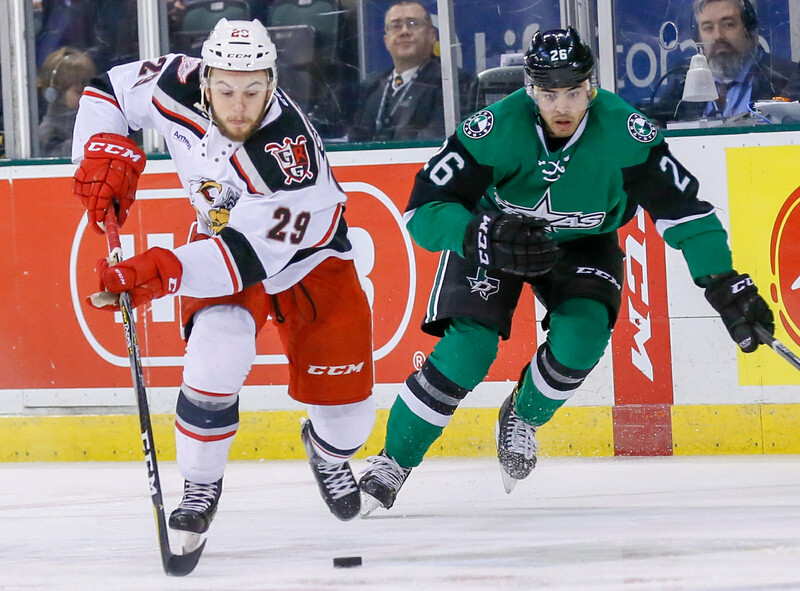 Dowling, 26, has registered 28 points (8-20=28) in 49 AHL contests with Texas this season. The forward currently ranks second on Texas with two shorthanded goals in 2016-17. Dowling also made his NHL debut earlier this season, recording two assists (0-2=2) in five NHL games with Dallas. UPDATE: Texas loses Smith and Dowling to recall and now has just 11 forwards, including ATO signing Reid Sturos. Could be interesting. The Texas Stars play their only 3-in-3 of the year this weekend in the midwest. Up first are the last place team in the conference, the Rockford IceHogs. The Hogs were also in last place when Texas played them in Cedar Park on December 10th. Things have improved a bit for them with a slight uptick in their winning percentage from that time, but it's still .412 (as opposed to .375 on Dec 10). Mark McNeill will be making a homecoming to the only other pro team he's known. McNeill laced them up for 273 regular season games as an IceHog and 11 in the playoffs. The IceHogs have nothing to play for but pride and have won just one game since February 22nd, a stretch of 1-10-1 hockey. Three of their four top scorers, including McNeill, were dealt at the deadline for assets. Long story short, this may not be the prettiest game, but it's imminently winnable. The Texas Stars have added forward Reid Sturos on an amateur tryout today. Sturos played most recently at Michigan Tech and previously laced them up for the Omaha Lancers of the USHL. Texas has good history with some of the smaller Michigan schools, including Ferris State and Michigan Tech. Stars GM Scott White played at Michigan Tech and goalie Josh Robinson did as well. Ferris State produced many Stars, most notably Greg Rallo, but also Cory Kane and Cody Chupp. The Texas Stars, American Hockey League affiliate of the NHL’s Dallas Stars, announced Thursday the team has signed rookie forward Reid Sturos to an amateur tryout agreement. 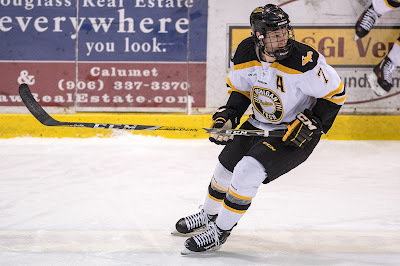 Sturos (STIHR-ohs), 24, joins the Stars after finishing his collegiate career at Michigan Tech, where he tallied 76 points (29-47=76) in 149 games over the last four years. Prior to that, the 6-foot-2, 185-pound native of Novi, Mich. played three seasons of junior hockey between the British Columbia Hockey League’s Nanaimo Clippers, the North American Hockey League’s Alexandria Blizzard and the United States Hockey League’s Omaha Lancers from 2010-2013. The Dallas Stars announced this afternoon that they are recalling Julius Honka from the Texas Stars. It's pretty clear that Honka is done marinating in the AHL and is ready for full-time NHL duty. With Dallas eliminated mathematically from the playoffs and Texas eliminated realistically as well, now is the time to get things figured out for next year. Julius Honka might never come back to the Texas Stars, and that's probably the right call right now. Tonight's game was not the one Texas needed. Needing to be perfect to make the postseason, the 4-1 loss to Stockton put the Stars two games below .500 and further sealed their fate as a non-playoff team this coming spring. There wasn't any scoring in the first period as the smaller weekday crowd and the sluggish on-ice effort from both teams seemed to contribute to a sleepy atmosphere at the H-E-B Center. "The second period we kind of picked it up, but those penalties killed us," said Matej Stransky, referring to the six power play opporunties that the Stars handed the Heat. "Obviously, we’ve [been] struggling on the PK all year, and it's in the back of our heads. We were going in the right direction the last couple games and got back to it. That’s on us and we have to be better." Ultimately, the game hinged on some small mistakes in close to the Texas net. The Stars got a great performance from Justin Peters with many highlight reel saves on the night. However, Hunter Shinkaruk took advantage of a turnover by Gavin Bayreuther for the Heat's first goal and a late period push saw Texas come up 0.2 seconds short at the end of the second to make it 2-1. Matej Stransky did score his team-leading and career-high tying 23rd goal in the game. Caleb Herbert is likely to be suspended following his cross check to Oliver Kylington in the third period. Texas killed the major but couldn't gain any momentum from it to bring the score to a tie. The final goal would be sent into an empty net for the 4-1 final. It's basically do or die for the Texas Stars now. Needing a perfect 10-0 record in their final ten games in order to match the pace set by fourth place Bakersfield, they'll have to give it all they've got in the final game of the season against the Heat. This game also serves as the rubber match of a three-game set between the two teams all played in Cedar Park over the past four days. Calling all cliches in this one. Texas will need a good start, something they've not often gotten but have done well with when they've had it. They are also going to need to stay disciplined. They're the worst in the league on the PK (75.2%) and can't afford to give up goals to a team that can score in bunches (3.05/gm for 10th in league). One interesting and random wrinkle is the addition of Cam Braes to the Heat roster. Braes was very briefly a Texas Star. He decided to leave professional hockey after the 2015 preseason in order to pursue a master's degree. Having finished that, he has now decided pro hockey might be for him again and has joined the Heat on an ATO. Texas found a way to stay alive in the playoff hunt this evening with a 5-4 shootout win over the visiting Stockton Heat. Staying alive is all relative though, as Bakersfield increased its point total this evening. Texas will need to make it to 85 points, or 20 points in 10 games, to beat them. That is a perfect record. The Stars never trailed in the game but also were never ahead by more than just one goal. The Heat and Stars alternated goals all night with Gemel Smith's sixth round shootout goal being the ultimate winner. Smith also tallied three assists. Mike McMurtry returned from a very brief stint in the ECHL to score a goal and an assist in the contest. His recall was necessary after Dallas called for Jason Dickinson earlier today. Texas changed up the lineup a bit otherwise after last night's loss. Ludwig Bystrom, Matt Mangene and Dustin Stevenson all checked in after being scratched for several games running. Austin Fyten, Darren Dietz and Caleb Herbert were healthy scratches in their places. Justin Peters stopped 22 of 26 shots in the win and 4 of 6 in the shootout. Up 4-1 with five minutes left in the second, Texas was in great shape tonight. The Heat had other plans and came back with a four goal effort to finish with a regulation victory in Cedar Park tonight. Texas has had major challenges holding onto leads recently, including seeing a 3-0 lead in Cleveland become a 6-3 loss. Tonight's loss came even as Texas was relatively disciplined on the penalty sheet, not allowing a single power play opportunity in the third period, which they entered leading 4-3. Justin Peters took the loss for the Stars, allowing 5 goals on 29 shots. Ethan Werek scored a pair of goals. Following tonight, Texas needs to go 10-0-1 from here on out to make the playoffs. Stockton was on a cool streak last time the Stars played them but their fortunes have turned around since. Their two wins against Texas in late February kicked off a 6-3 run that has put them in tight with Bakersfield for the final playoff spot in the Pacific. If you include the Texas games and the intervening Bako game, it's 8-4. Key to the turnaround has been the return of their offense. Each of their wins since they played Texas has come when they've scored at least three goals. In fact, they've scored 4 goals of more seven times during the run, including the two games against Texas. So the key is clearly to limit the goals. I mean, isn't that the case every night? If the Stars can do what they did against Cleveland last Friday or in the first two periods of Saturday's game, they'll have a chance here. I'll also add that the start is important. With Wednesday's win, Texas climbed to 23-7-0-2 when scoring first. Texas needs every point now. The number of wins they need drops if San Diego can beat up on Bakersfield this weekend, but they still need to win their own games. If everything holds, they'll need a 10-2 mark in their last 12 games. The Stars came close to giving up another game late. Tucson earned a point with a third-period comeback, but Texas scored in the overtime period to make it a 4-3 final for the home team. "We've got to battle every night to keep this thing going," said Coach Laxdal. "We need all the points we can get to keep this thing alive." 'This thing' is the Texas Stars' playoff chances, which gained a bit of momentum with tonight's win. Brandon DeFazio noted, "You win tonight and you're happy about that, but it's just one game at a time. It's a daunting task and we're not oblivious to that. Focus on what you can control, a good effort and a good start." Before the game, Texas talked about the importance of their first periods. They have a 22-7-0-2 record when scoring first and a 15-1-0-1 record when leading after the first period. The first goal tonight didn't come in the first period, but Texas did notch that goal. A quiet first period gave way to a noisy second and third. Within 44 seconds, Texas went from scoreless to up 2-0. Ethan Werek scored from the slot then Texas earned a power play to set up Julius Honka's seventh of the year. Tucson got back in it with a goal from Tyler Gaudet to close the second at 2-1 Texas. Denis Gurianov extended the lead to 3-1 with a masterful tip that really demonstated one of the main skills that will make him a successful NHLer someday: his speed. The tip play at the net off the pass from Morin and DeFazio came because Gurianov got in behind the defender lightning quick. "He's learned to use his speed at all times and get to the areas where he'll score goals," said DeFazio. "As he matures, he'll learn to use that speed and the more often he gets to the house, the more often he scores." Texas 'made it exciting' for the fans though, according to Laxdal, with two goals allowed in the third period to set up the tie game at the end of regulation. Joe Whitney's goal came as a defensive breakdown left him all alone on the backside for his 13th of the year. Just after the Roadrunners pulled Adin Hill for the extra attacker, Laurent Dauphin scored on a tight play at the net for the tie. The Stars had seen this before in Cleveland last Saturday and didn't want to take the loss. "We figured it out quicker than last time in Cleveland. You want to find a way to shut that down, but it's better coming out with a win." Matej Stransky ensured that win with 2:36 left in OT. A tight play at the net put the puck on his stick for the game-winner. Adin Hill was hot under the collar claiming interference, but it was deemed a good goal. The Stars play again on Friday at home against Stockton. 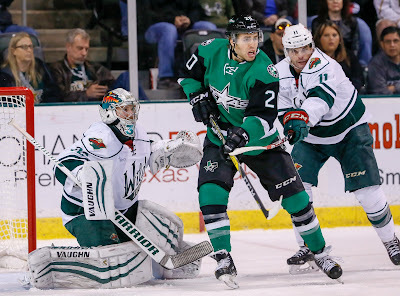 UPDATE: The Texas Stars have assigned Landon Bow, Justin Hache and Mike McMurtry to the Idaho Steelheads. The Roadrunners were the hot team to start the season. With weapons like Chris Mueller at hand and some sterling rookie adds, they were a hot hand. Tucson has dropped to 7th in the division, well out of the playoff race. Texas laid a hurt on them in two games back in early February, winning 3-2 and 6-2 in back-to-back nights. Since then, it's been a death spiral. Tucson has managed just a 3-11-1-0 record since leaving Texas on February 11th. It has not been an easy path for sure with regular matchups against San Diego, Bako, San Jose and Ontario. However, even last night they fell to the lowly San Antonio Rampage. Texas, of course, as I have mentioned before, is in a precarious spot. They need all of the points they can get to make it to the playoffs right now. Their mark of 11-2 still stands as what they need in the final 13 games to make it in. Tonight will mark the home debut of defenseman Gavin Bayreuther, who has already scored his first pro goal. The first playoff berth of the 2017 Calder Cup playoffs was clinched on Saturday as San Jose punched its ticket to the postseason. For the Stars, with 13 games left in the season, they are in dire straits at 6th place in the division. The Bakersfield Condors currently hold the final playoff spot, and Texas has a mountain to climb to match their pace of .544. At two games below .500, Texas needs to go 11-2 down the stretch to have a shot at the playoffs. Without Bakersfield on their schedule for the rest of the season, they'll have to hope that the Condors go cold to get anything done in terms of knocking down the .544 mark. Bako is 7-3 in their last ten while Texas is 4-4-0-2. This week's game are all must win. Facing Stockton and Tucson, in 5th and 7th places respectively, the Stars cannot afford to give away points, even overtime points, to these teams now. The margins are too thin for that. 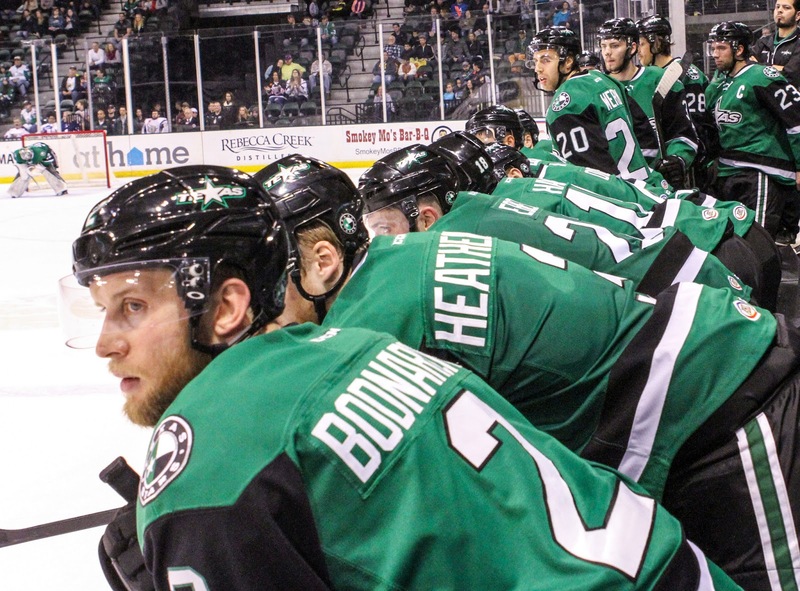 If the Stars make it into the playoffs, this week will have to be a turning point for them. Once that happens, they can worry about what will likely be a grueling late March and early April, culminating in a 3-game set with San Antonio to potential decide the playoff fate of the Cedar Park crew. After going up 3-0 in the first period, the Stars capitulated entirely in the second and third. Cleveland earned two of their goals in the second period, giving Texas a 3-2 lead after forty minutes. An early goal in the third tied it and with five minutes left, a ricochet off the boards gave Cleveland the go-ahead goal. Two more empty net goals would set the final. Justin Peters stopped 34 of 38. Texas now needs a 10-2-1 record from here on out in order to make the playoffs. 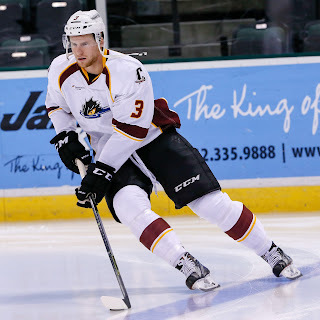 After erasing a three-goal deficit, it was a bad bounce off the boards that gave the Cleveland Monsters their go-ahead goal en route to a 6-3 win over the Texas Stars on Saturday night in front of 14,317 in attendance at Quicken Loans Arena. TJ Tynan's dump into the corner kicked the puck back in front and left Texas goaltender Justin Peters trapped behind the net as Ryan Craig tapped in an open-net goal with 4:53 to play after the Monsters rallied back from a 3-0 deficit. Sonny Milano finished with a three-point game for Cleveland (2-1=3). Peters saw his career-high shutout streak come to an end at 161:17, while the Monsters snapped their scoreless drought of 149:16 in the win. Texas (28-30-1-4) returns home on Wednesday to host the Tucson Roadrunners at 7:30 p.m. CST. After weathering an early storm from the Monsters (28-27-3-4) in the opening minutes, the Stars took control of the game with three goals in a 12-minutes span of period one. Matej Stransky slapped a bouncing puck in the slot past Cleveland starter Anton Forsberg at 4:59 for his 20th of the season. Brandon DeFazio forced a turnover in the Monsters zone and buried a power-play goal with eight minutes to play, and Caleb Herbert snuck a wraparound attempt in the net with 2:17 left in the frame to score in his second straight game. The Monsters responded in period two beginning with Marc-Andre Bergeron's power-play goal at 7:24. With six minutes to play in the second, Sonny Milano made it a 3-2 score during a delayed penalty call against Texas after banking a puck off the back of Peters. In the third, Cleveland forced the game back to even on a breakaway goal by Jordan Maletta at 7:28. After Craig's tally, Milano and Zac Dalpe added empty-net goals for the Monsters to seal the win. Peters finished 34 of 38 in net for the Stars. Forsberg stopped 19 of 22. Texas was 1-for-3 on the power play while Cleveland was 1-for-2. Justin Peters stopped everything he saw tonight for his second straight shutout. The Stars didn't need his perfect performance this evening though as they pierced Anton Forsberg for four goals on the evening. Texas's newest player, Gavin Bayreuther, made his mark with his first professional goal. Playing on the power play in his first pro game, he scored off the passing feed of the Stars' longest tenured player, Travis Morin. The Stars were perfect on the PK, and Bayreuther's PPG made Texas 1/4 of the PP. Rookie Gavin Bayreuther scored in his first career game, Justin Dowling tallied a milestone goal and Justin Peters stopped 24 shots in net to record his first shutout for the Texas Stars in a 4-0, St. Patrick's Day win over the Cleveland Monsters in front of 10,215 in attendance at Quicken Loans Arena. Caleb Herbert also scored for Texas, and the Stars snapped a four-game winless skid in the win (0-2-0-2). Cole Ully and Julius Honka each registered a pair of assists for the Stars. Texas (28-29-1-4) and Cleveland (27-27-3-4) wrap up their season series Saturday at 6 p.m. CST. After a scoreless first period, Herbert provided all the offense Peters would need on a quick wrist shot from the right circle at 10:15 to beat Cleveland's Anton Forsberg and open up the 1-0 score. Five minutes later, Dowling deflected Nick Ebert's point shot for his eighth of the season, and the 71st of his Texas career, to pass Matt Fraser for fourth in team history. Carrying their 2-0 lead into the third, Austin Fyten found the back of the net for Texas midway through the frame off a faceoff for his first goal since Dec. 3 against Manitoba. With 5:08 to play in the game, and Texas on the power play, Bayreuther snapped home his first career goal off Travis Morin's crossing feed from the right circle to cap the scoring for Texas. Peters' shutout came in his return to Cleveland after suffering a Calder Cup Final loss to the Monsters last year as a member of the Hershey Bears. 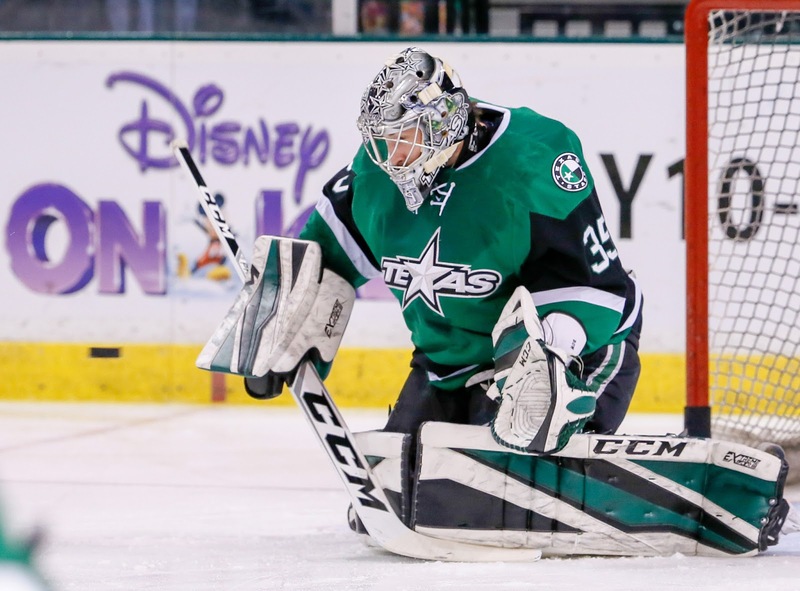 The Stars' veteran netminder has given just five goals over his last four games. Forsberg finished with 27 saves in the loss. Texas finished 1-for-4 on the power play. Cleveland finished 0-for-3. Justin Peters and Jordan Binnington both pitched shutouts, but someone had to take the loss as Texas came up short in the shootout. Kenny Agostino and Ty Rattie scored for the Wolves in the shootout. The Stars outshot the Wolves 30-26, went 0-for-4 on the power play and a perfect 1/1 on the penalty kill. Justin Peters stopped 25 shots in net to corral one of the AHL's top offensive teams but Jordan Binnington was better in a 1-0, shootout win for the Chicago Wolves over the Texas Stars on Wednesday night at Allstate Arena. Peters and Binnington traded saves all night long and combined to stop 55 shots through 65 minutes of play. Kenny Agostino and Ty Rattie each scored in the shootout for the Wolves (37-17-5-3), who extended their point streak to 11 games in the win. It was the second straight game for Texas (27-29-1-4) that resulted in a shootout loss. The Stars continue their three-game road trip on Friday when they visit the defending champion Cleveland Monsters at 6 p.m. CST. With the loss, the Stars lose their first season series to the Wolves since the 2012-13 campaign when they lost three of four games. Despite the loss, Peters has given up just four goals over his last three contests in net. Binnington finished with 30 saves in the win for the Wolves. Texas was 0-for-4 on the power play. Chicago was 0-for-1. 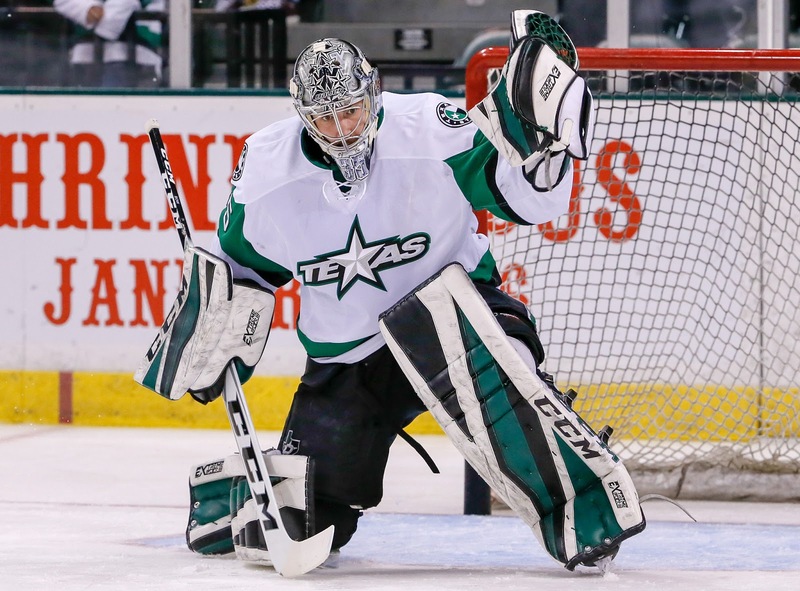 The Texas Stars have recalled goalie Landon Bow to Texas. Aside from injury, this doesn't make a lot of sense to me. The Texas Stars have little to play for at this point aside from a near-flawless run the rest of the way. Bow was solid in his time in the AHL, but he still went 7-7. 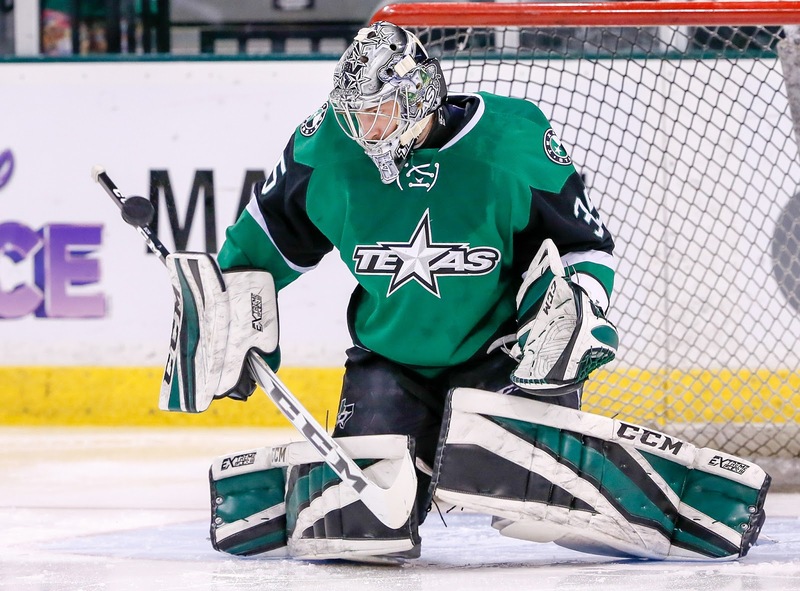 The Texas Stars, American Hockey League affiliate of the NHL’s Dallas Stars, announced Wednesday the team has recalled rookie goaltender Landon Bow from their ECHL affiliate, the Idaho Steelheads. Bow, 21, returns to the Stars on his second AHL call-up this season. The 6-foot-5, 210-pound netminder was 15-5-2 in 22 games with Idaho this season. His 2.25 goals against average and .929 save percentage both ranked second overall in the ECHL. The Saint Albert, Alberta native has appeared in 16 AHL games with Texas this season. 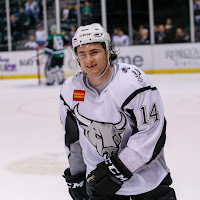 The undrafted Bow (BOH) was originally signed an AHL contract with Texas over the summer, and then signed an entry-level contract with the NHL’s Dallas Stars on March 10, 2017. The Texas Stars have signed their first ATO of the season. Gavin Bayreuther, a college free agent signing from St. Lawrence, has signed an ELC with Dallas and now joins Texas on an amateur tryout. Dallas was in it late and won thanks to some personal connections to the team via St. Lawrence. Sean Shapiro reported that Bayreuther's decision had a lot to do with the coaching staff in Texas, including Karl Taylor, who worked with his college coach in the Kings system. Morris, SLU's coach, was in Ontario while Taylor was in Reading. Bayreuther will join Texas in Cleveland. He will wear #27. The Texas Stars, American Hockey League affiliate of the NHL’s Dallas Stars, announced Wednesday the team has signed rookie defenseman Gavin Bayreuther to an amateur tryout agreement. Bayreuther, 22, led St. Lawrence University (ECAC) with 21 assists and 29 points (8-21=29) in 30 games during his senior campaign. He also finished the season tied for fifth among all ECAC defensemen with 17 points (4-13=17) in 20 conference matchups, while his 13 assists against ECAC clubs was tied for eighth among conference blueliners. Bayreuther (BAY-roo-ther) spent four seasons with St. Lawrence, recording 111 points (35-76=111) in 142 career NCAA games. He was named the co-winner of the ECAC Rookie of the Year award during his freshman season in 2013-14, while also earning first-team all ECAC honors, an ECAC all-tournament selection and was named second team All American during his junior season in 2015-16. The 6-foot-1, 195-pound native of Canaan, N.H. was originally undrafted. 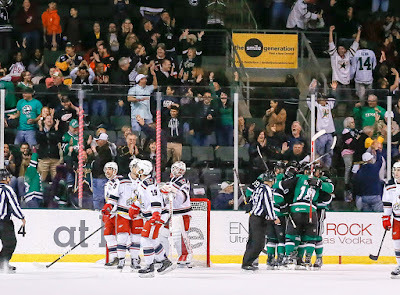 Adding insult to injury, Brendan Ranford scored the game-winning shootout goal for the San Antonio Rampage as they defeated the home side Stars 2-1 this evening in Cedar Park. Mark McNeill scored on the power play nearly halfway through regulation exactly. Noted Star-killer Rocco Grimaldi scored with four minutes left in the third to send the game to overtime. Jason Dickinson was injured in the game after a boarding major in the second. Gemel Smith missed the game with injury from the game on Saturday. Rocco Grimaldi tied things up in the dying minutes of the third, and Brendan Ranford added the finishing touch against his former team with the shootout-winner, as the San Antonio Rampage topped the Texas Stars on Monday night in front of 4,786 at H-E-B Center at Cedar Park by a 2-1 final. Justin Peters 26-save performance kept Texas (27-29-1-3) in the lead until 3:57 remained in the game when Grimaldi struck on a power-play goal to force overtime. Ranford was the only goal-scorer in the shootout to lock up the win after being traded from the Stars back in mid-February. Texas hits the road for a three-game road trip beginning Wednesday against the Chicago Wolves at 7 p.m. CST. After a scoreless first period, Mark McNeill put Texas on the board with a power-play goal at 10:22 of the second [sic] by deflecting Julius Honka's point shot for his eighth of the season and his second in a Stars sweater. The Stars would cling to their one-goal lead until a holding penalty against Andrew Bodnarchuk put the Rampage (23-32-4-1) on the power play, and Grimaldi snapped his 25th of the season past Peters from the left circle to knot the score. Spencer Martin stopped all three Texas shooters he faced in the shootout and finished with 19 saves in his first win since Jan. 6. Texas went 1-for-4 on the power play. San Antonio was 1-for-6. The Battle of Texas has very little on the line at this point in the season. Both Texas and San Antonio will be missing the playoffs this season. The Stars have a glimmer of a chance, but it seems near impossible that they will pull it out. They need 25 points in their remaining 17 games, assuming Bakersfield doesn't go on another tear. That's 12-4-1 and significantly better than any stretch of 17 games they've had so far this season. The Rampage are having similar woes. The Avalanche have been eliminated from playoff contention and San Antonio is not far behind. A winless Rodeo Road Trip and a record of 1-9 in the last ten has placed them 10 games below .500 and worst in the conference. They are second worst in the league, just ahead of Hartford. Texas finished in a similar position in 2012, with their savior being the Binghamton Senators in 30th. Gemel Smith seems unlikely to play after the hit on Saturday night. Texas has a few forwards to slot in for him, so it shouldn't be a large issue. Caleb Herbert or Mike McMurtry can handle the assignment, if needed. While it's not Texas's only Monday game of the year, today's game is the only one at home. Mondays, as you'd guess, usually mean lighter attendance. However, it is Spring Break, so we'll see if some families decide to make the sojourn to Cedar Park. 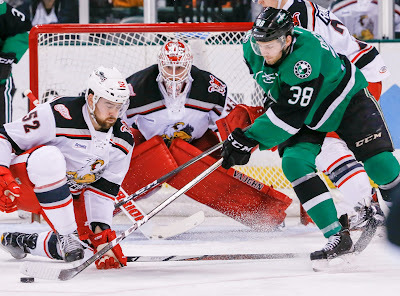 It's become an all-too-common theme for the Texas Stars this season to fall behind early and make life hard on themselves in the latter half of the game. It's especially frustrating when it comes in a game where the Stars outshot the opponent 39-17. While the final score of 3-2 may show a close game, Texas had to fight back to get there and never held a lead in the game. Also contributing was the Iowa power play. The Stars limited the penalties but were still stung when they did get called, stopped just one of three Wild PPs. Justin Peters stopped just 14 of 17 shots against. Gemel Smith left the game with a check to the head in the third. Now below .500 again, the Stars are needing a 13-4-1 record the rest of the way. After last night's performance, it is looking like the playoffs are going to be a miss this season for Texas. The magic from Wednesday's win against the Griffins couldn't convert into more magic against the Wild. If they are to win tonight, it is no surprise that not getting behind early will be a priority. It feels like a broken record at this point, but that's the name of the game. The Stars got back on their heels early in tonight's contest and never recovered, falling 5-1 to the visiting Wild. Justin Peters allowed two goals on the first three shots of the game. He was pulled in favor of Maxime Lagace but took the loss anyways as the Stars couldn't muster more than a single goal to fight back. Texas had a decent chance at the comeback as the third period began, but the Iowa Wild capitalized with two goals in just 85 seconds to start the period. With the score at 4-1, a final goal from Alex Tuch, his second of the night, sealed the deal at 5-1 just four minutes later. The Dallas Stars have signed goalie Landon Bow to an entry-level contract. The deal is a two-year contract for the rookie goalie. Just last week, we wrote about why a deal like this would make sense for the Dallas Stars. Here's my argument. Dallas has gambled more on less. 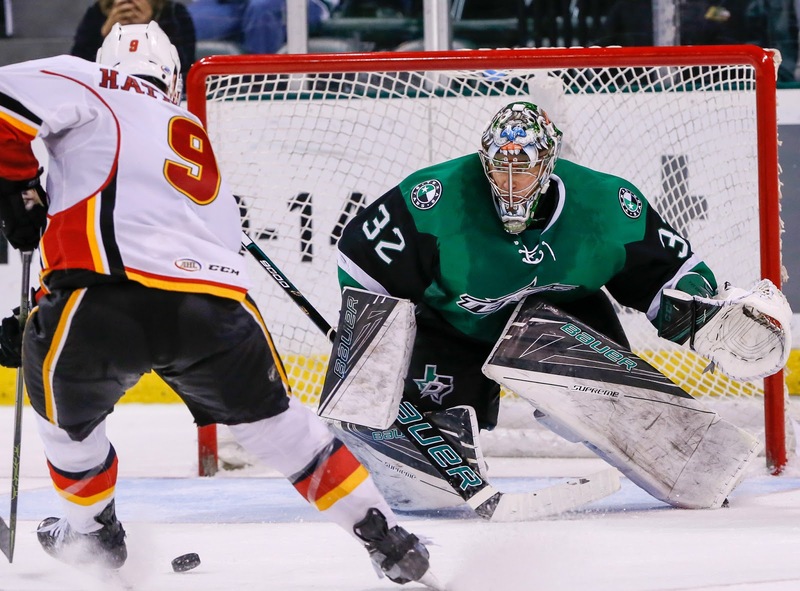 Without a single game of professional experience, Dallas signed Maxime Lagace to an entry-level contract. Bow has 16 games in the AHL to add to 19 in the ECHL. He had solid numbers in his junior career, including a deep playoff run in his final season with Seattle. An entry-level deal for Bow would lock down an AHL/ECHL goalie for the time being and allow the Stars to develop his talents further. Goalies don't hit their prime years until later in their 20s. With proper development, Bow could be an asset that Dallas gets 'for free' thanks to good junior scouting. Dallas Stars General Manager Jim Nill announced today that the club has signed goaltender Landon Bow to a two-year entry level contract. Per club policy, terms of the deals were not disclosed. 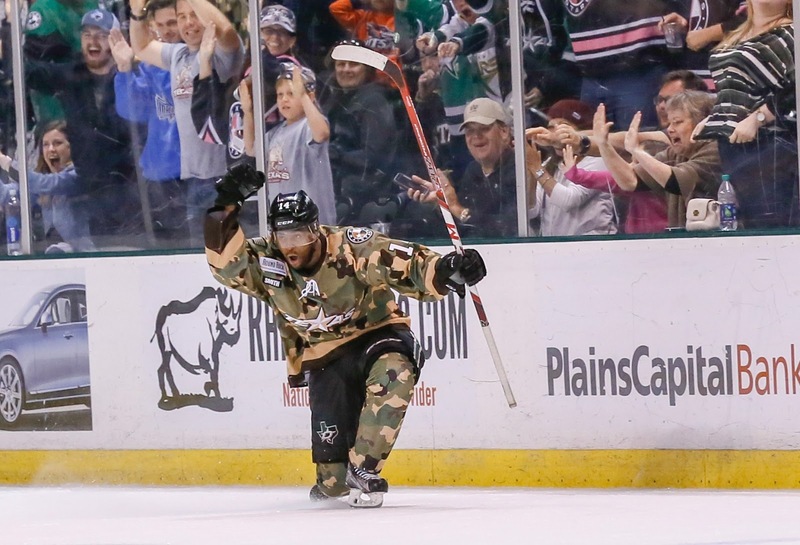 Bow, 21, split the 2016-17 season between the Texas Stars of the American Hockey League (AHL) and the Idaho Steelheads of the ECHL. Bow posted a 7-7-0 record with a 3.17 goals against average and a .894 save percentage in 16 regular-season appearances with Texas. The goaltender also logged a 15-4-0 record with a 2.15 GAA and a .933 SV% in 21 games with Idaho. The goaltender spent four seasons in the Western Hockey League (WHL) from 2012-16, amassing a record of 74-56-13 with a 2.91 GAA and a .912 SV% in 160 career WHL regular-season contests with Swift Current and Seattle. The 6-foot-5, 208-pound native of St. Albert, Alberta was originally undrafted and was signed by Texas to an AHL contract on June 1, 2016. The Iowa Wild visit town for the only time this season this weekend. The Wild are in the middle of a six-game road trip, which could honestly be considered a ten-game trip if you really look at the schedule. After this current six-game stint, Iowa returns home for a single game against Milwaukee and then hits the road again for four more. Iowa has been a pretty traditionally downtrodden team since moving from Houston. They've never made the playoffs and finished last in their division every year. Things have turned around for the Wild this season. Where they've really improved has been in net. The Wild are ranked 28th in goals for this season but rank 6th in goals against at 2.67 GA/game. A large portion of that can be placed on the shoulders of Alex Stalock, who has a 17-12-7 record and a nice .920 save percentage. Not far behind is their backup, Steve Michalek with a 10-11-1 record but a .918 save percentage. Stalock is taking the lion's share of the starts. 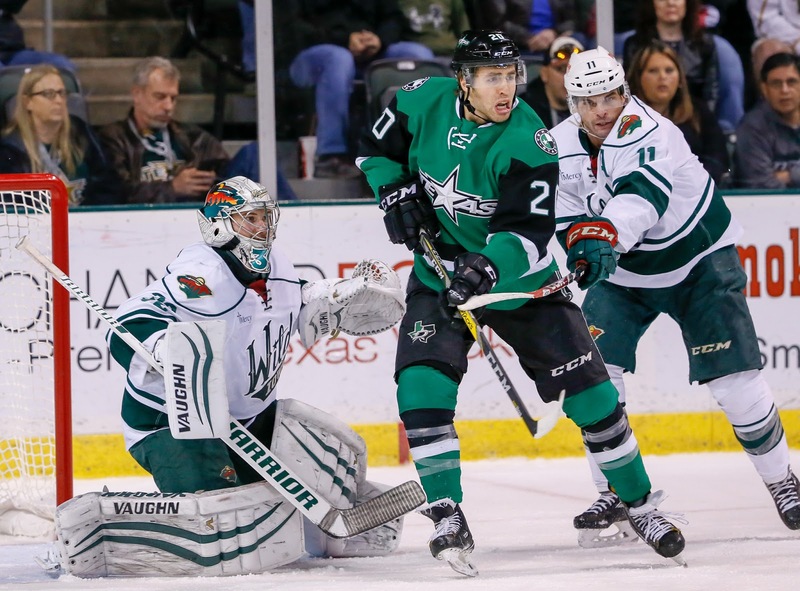 The Stars had a great confidence boost on Wednesday night with the win against Grand Rapids. They beat a solid goaltender, which is what they will need to do this weekend to earn more points. To make the playoffs, Texas still needs to achieve a record of 12-6-1 the rest of the season. They obviously won a game, but also, Bakersfield lost. That dropped the required point threshold to 82. Since leaving the AHL in 2015, it's entirely possible Francis Wathier has found himself on the ice more often rather than less. 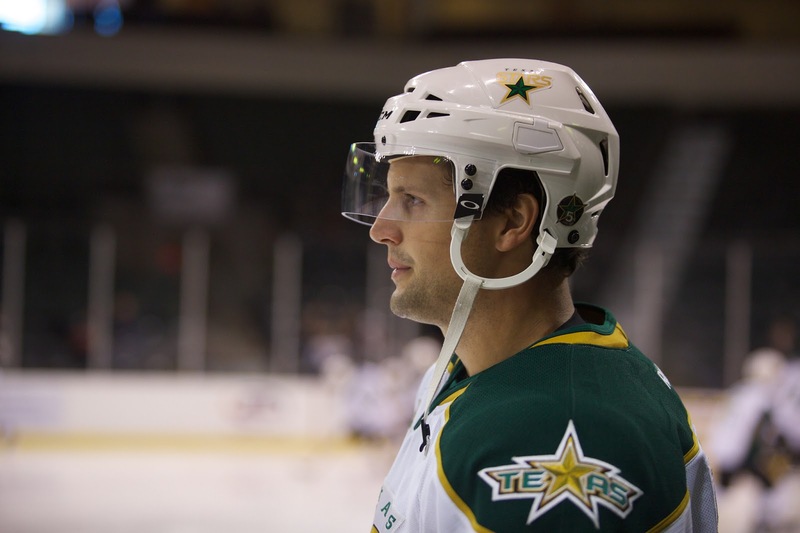 The former Texas Star, who played for five seasons in Cedar Park, has a hand in at least four distinct hockey leagues or activities, only one of which would show up on his HockeyDB page. First, the left winger found a post-NHL/AHL career in the Ligue Nord-Américaine de Hockey, a Quebec-based league often shortened as the LNAH. After his final AHL season in Portland, Maine, Wathier looked to extend his career in Europe, as many players do. He had a deal in Austria but couldn't bring his family. "My family is a package deal, so I decided not to go." Wathier got a call from the Laval Prédateurs and decided to join up. "People call it a fighting league, and yes, there are fights, one or two a game. The tough guy goes on the ice and they do their thing but then we play hockey. Very physical, probably one of the most physical leagues I’ve ever played in and that’s very much my game. Unlimited ice time as well and that was the fun part." The league features seven teams made up of a smattering of former North American pros and major junior players. All must hail from Quebec or have played major junior in Quebec. The league features games exclusively on the weekends and one practice per week. He had a chance to head to England after his first year in Laval but the team matched his English contract and he decided to sign up for a three-year deal. Wathier makes his home in Ottawa, a two-hour drive from his home rink. When combined with the bus ride to away games, sometimes his transit can be nine hours each way. "It’s two hours on my own and seven hours on the bus. I leave home at 9 AM [Friday] and come back at 6 or 7 AM Saturday and then I’m on the ice with my second son at 8 AM for skating with the mites." Both of Wathier's sons are in competitive hockey and his daughter does dance. Playing in the league and helping his wife to raise their kids is just part of the schedule for Francis. During the week, he is an assistant coach for the local Junior A team. Unfortunately, he has to miss their games on the weekends to play in his own, but he is part of a group of assistants who all work together to help the team. Their family also lives in the dorms at a hockey academy, where his wife acts as a bit of a billet mother for the academy's students. She is also going back to school. Francis headed to school himself as part of setting up his plan B for after hockey. Coaching is something he is passionate about, but he went ahead and took the firefighter's course in Ottawa. He passed and just needs to do a job interview with the department to join up, if that time comes. Even with all this going on in Ottawa, the Wathier family feels like they "left something in Austin" and it holds a special place for them. "Austin is still part of home for us. That’s why we go back, we want to give back to a community that gave so much to us. We had two of our three kids born there and a house there. We still have a lot of memories and friends." To that end, he'll be returning this summer again to host a series of camps and clinics with youth hockey players here. From July 17 to 21, he'll be at the Pond Hockey club doing half-day camps with age groups from mini-mite to bantams. The camp will combine off ice and on ice work, including power skating, individual skills and game situation drills. The very next week he'll be assisting the Texas Junior Stars at their training camp. Following that, the ice will melt and he'll go to the roller rink to assist with their hockey camps. Wathier had been teaching for years in the AHL, so it's just a natural progression to coaching. He is quite proud of anything he might have been able to teach some of the younger kids now enjoying success with the Dallas Stars, including Jamie Benn, Brett Ritchie, Curtis McKenzie and Antoine Roussel. For more information about Wathier's camps, check out franciswathier.com. It only took 94 seconds for the Texas Stars to completely flip the complexion of tonight's game. Trailing 4-2 with five minutes left in the third, Texas potted two shorthanded goals, completing a hat trick for Gemel Smith, and then pushed ahead 5-4 with an even-strength tally from Brandon DeFazio. "We knew we could come back and we just had to play the right way," said Gemel Smith, whose hat trick was the first of his pro career. "We weren't happy about the first two periods. We just needed to push and push." The game has to be a major confidence boost for a team that needs to nearly run the table to make the playoffs at this point. "It can be a defining moment in our season," said Coach Laxdal. "The message afterwards was 'Remember this feeling.'" The Stars came out with a solid first period, earning a 1-0 lead off a rebound goal from Travis Morin, his 20th of the season. They capitulated in the second period, allowing four goals in the frame and scoring just one. The Griffin goals came in pairs, two at the start of the period and two at the end. They were separated by Gemel Smith's first of the night, another rebound that made it 2-2. Ben Street scored a pair and made it 4-2 after forty. The entire game really came down to the final five minutes. With Julius Honka in the box for interference, Texas saw opportunity. The combination of the Stars' team speed and the Griffins' deployment of forwards on the point for their power play was a deadly one. Smith noted, "We're a fast team and if any pucks are chipped out, we're first on it." Brandon DeFazio commented on playing defense as a forward, "It's an uncomfortable feeling to be skating back as a forward and playing it 1-on-1. It's something that we rarely do so I'm sure for them, playing 2-on-1s with that kind of speed, you're probably in a really uncomfortable spot." "We want to be aggressive when we have a chance," he added. "In that situation, down a couple, you have to [take chances]." The first shorthanded marker was Smith and Justin Dowling. The second was Smith from Jason Dickinson. "It was pretty crazy," assessed Laxdal. "You get one shorthanded, and you're thinking what are you going to do when the penalty is done to set [the next one] up. All the sudden you score another." The Stars finished off the insane sequence with Brandon DeFazio's 17th goal of the year, breaking a nine-game scoreless drought. "I haven't scored in a little while. I stayed on the ice a little longer today to work on my shot, try to see the puck going into the net. It was a great play for McNeill to put that right on my stick." Grand Rapids got frustrated, taking a late penalty, and probably lost the game on the momentum alone after the second shorthanded goal to tie things at four. Texas stays here at home for a weekend set with Iowa starting Friday. Ahead of today's AHL trade and movement deadline, the Texas Stars have swapped players with the Hershey Bears. Defenseman Mattias Backman will head to the Bears while Washington will send back Darren Dietz. Both will stay on NHL contract with their original NHL organizations. Generally, trading a player away from their parent club's AHL affiliate indicates the end of the line for that player inside the NHL org. This has been the case in the past with players like Francis Wathier, Ray Sawada and Mathieu Tousignant. In return, Texas receives defenseman Darren Dietz, who has played in 39 games for Hershey this year (6-6=12). He will not be available for tonight's game against Grand Rapids. 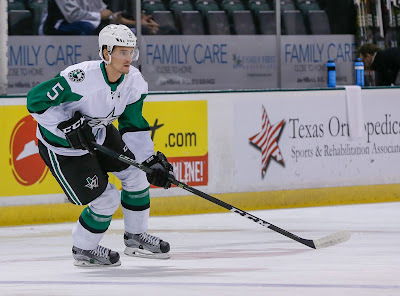 The Texas Stars, American Hockey League affiliate of the NHL’s Dallas Stars, announced Wednesday that Dallas has reassigned defenseman Mattias Backman to the AHL’s Hershey Bears. In exchange, the NHL’s Washington Capitals have reassigned defenseman Darren Dietz from Hershey to Texas. Dietz (DEETZ), 23, has appeared in 39 games this season for Hershey with 12 points (6-6=12). The 6-foot-1, 213-pound defenseman has appeared in 205 AHL games in his career with Hershey, the St. John’s IceCaps and Hamilton Bulldogs. The Medicine Hat, Alberta native also has 13 games of NHL experience with the Montreal Canadiens with a goal and five assists. Backman, 24, was in his third season with Texas after arriving in a trade between Dallas and the Detroit Red Wings on March 1, 2015. The 6-foot-3, 185-pound blueliner appeared in 111 games with the Stars and tallied 43 points (11-32=43). The Linkoping, Sweden native has played in 131 AHL games in his career between Texas and the Grand Rapids Griffins. Backman was a fifth-round pick (146th overall) of Detroit in 2011. A 6-2 win over San Antonio did little to tamp down concerns that the Texas Stars may not make the playoffs for just the second time in their history. The win got them back to one game below .500, but the mountain to climb is still very high. With the new mark set at .549 thanks to a six-game winning streak from the Condors, Texas needs to 84 points to surmount them. Earning 29 points in 20 games will require a 14-5-1 record from here on out. It's unlikely but not impossible. Texas will have to do whatever they do for the rest of the season without Remi Elie. While he has been fair to middling in the AHL, he excelled in the NHL. Dallas Stars coach Lindy Ruff noted that this is often the case with talented players. They can show off their skill more when more talent is around them. Gemel Smith and Justin Dowling are good examples of this. Elie, of course, has experience being elevated by world-class talent around him. He played with Connor McDavid in the OHL. The Stars got things start in the second period with a pair and never looked back today in San Antonio. Coming off last night's loss, Justin Dowling and Cole Ully each scored a pair of goals. Dowling also added an assist. Dillon Heatherington got his first point as a Star and was plus-3 on the afternoon. Former Star Brendan Ranford notched an assist on the power play in the loss. Justin Peters stopped 28 of 30 in the win. 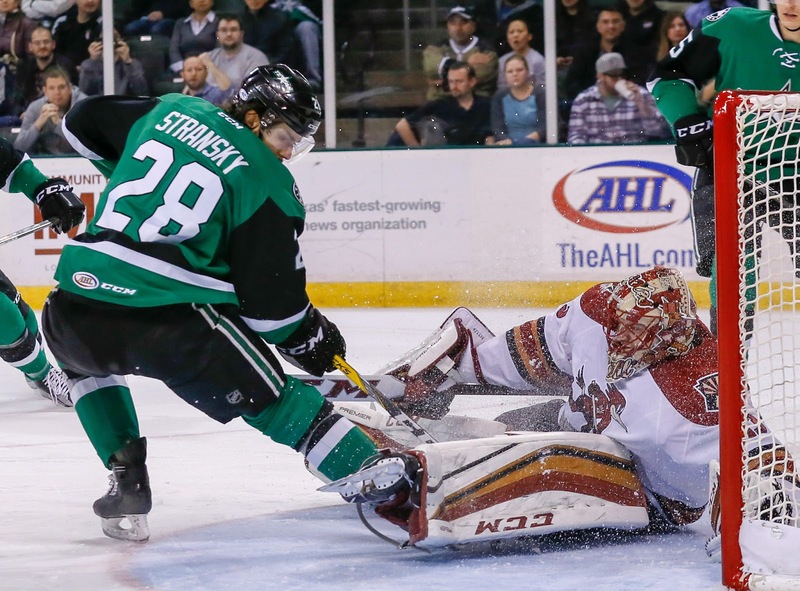 Justin Dowling and Cole Ully each scored a pair of goals, and Justin Peters turned aside 28 shots in net, as the Texas Stars overpowered the San Antonio Rampage in a 6-2 win at AT&T Center on Sunday evening. Matej Stransky scored the 11th shorthanded goal of the season for the Stars (26-27-1-2) as they picked up their seventh win over their I-35 rivals in 10 meetings this season. The Rampage (21-31-4-1) saw their winless skid extend to 11 games in the loss. Texas rattled off four goals in the third period to turn a 2-1 lead into a four-goal cushion. The surge started with Dowling's second of the night at 5:55 on a break through the right circle to beat San Antonio's Spencer Martin, who finished 25 of 29 in the loss. 48 seconds later, Ully added his first of the game by deflecting Dillon Heatherington's point shot for his 10th of the season and second straight game with a goal. Rocco Grimaldi's blast from the blue line for the Rampage pulled the game back to 4-2 with just over seven minutes to play, but Ully and Travis Morin added a pair of empty-net goal in the final segment of the third to seal the win for the Stars. After a scoreless first period, the offense opened up in the second with three combined special teams goals. With Texas on the penalty kill, Dowling picked up a loose puck in the Rampage zone and set up Stransky with a crossing feed at 2:21 for the Stars' 11th shorthanded goal of the year to lead the AHL. Later in the frame, Dowling picked up his first of the night during a two-man advantage for the Stars by snapping a tight-angled shot from the bottom of the circle just under the crossbar at 10:03. The strike snapped a 17-game goal-scoring drought for his sixth of the year and gave Texas a 2-0 lead. San Antonio found the back of the net with a power-play goal of their own by AJ Greer with two minutes to play in the second. Both teams went 1-for-2 on the power play. The last time Texas and San Antonio played was nearly exactly a month ago. On February 4th, the Stars and Rampage played to avoid 8th place. Now, a month later, they are both right back where they were on that day, 7th and 8th place, respectively. Texas won that day and went on a four-game win streak. Of course, then they lost seven of their next eight and went from fourth to seventh place. San Antonio has had an even worse go of it. The loss on February 4th started a 10 game losing streak that they are still on. 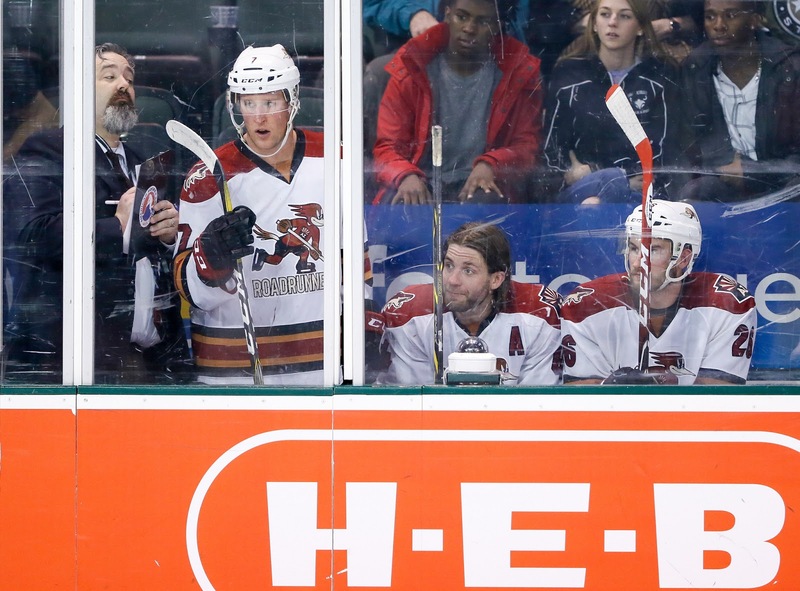 The Lone Star State's two AHL clubs are a combined 4-15-0-1 since their last meeting. The Rampage will have a former Star on their roster with the addition of Brendan Ranford. It comes with the subtraction of power play trigger man Joe Whitney. The Stars still have something of a shot at the postseason, needing to go 14-6-1 in their final 21 games to make it. Despite the score line, Texas played a close game against the Grand Rapids Griffins this evening, coming out on the wrong side of a lopsided final. Facing the best team in the conference and coming off their longest road trip of the season, the Stars fell 5-2 to the Griffins tonight. "They're a very good team, and they have a lot of depth," said newcomer Mark McNeill, who scored his first goal as a Star this evening. "A few mistakes in the third there cost us. They're able to capitalize because they have that skill." Texas managed to strike first, Cole Ully's 9th of the year on a tip, and kept the game close even as Grand Rapids tallied a pair to close the first at a 2-1 advantage for the visitors. The Stars had to work especially hard to penetrate the masked man at the other end of the ice. Detroit's Jimmy Howard, down in the AHL on a conditioning stint, got the start. "You've gotta respect that but we have to play the same way with bodies in front of the net and taking his eyes away." McNeill's goal was a nice connection with his new linemate Travis Morin. The captain sauced a pass backhand to the slot for McNeill to loft over Howard for the 2-2 tie. Coach Laxdal summarized, "We had them 2-2 going into the third period. I liked the way we were playing. We didn't start the third period particularly well." Early in the third, Texas got burned on a faceoff set play by Grand Rapids. "We talked about it between periods to be ready for faceoff plays. When a centerman goes in the circle and sees someone else taking the faceoff, he's got to be suspicious. Dowling got stung on it, and Ebert let his guy go to the net." Matt Ford won the puck to Eric Tangradi for the 3-2 advantage on that play. The Stars had a strong push thereafter, generating some of their best chances of the game. It was to no avail. Late in the frame, McNeill was nabbed for high-sticking. The Stars looked to push on the PK but got caught up ice on a 3-on-1 the other way. Ben Street made it 4-2 on the PP. Matt Lorito would ice it at 5-2 with an empty netter. "We did a lot of good things. We had a lot of good looks," said Coach Laxdal. "The first 30 minutes we were the better team, and then they pushed." Texas will take their show onthe road with tomorrow's contest in San Antonio. Denis Gurianov could return Wednesday for Texas. Let's be honest. When Griffins fans took a look at this weekend's opponents, they probably chalked it up as another pair of wins for their division-leading squad. Last night's game against San Antonio was a 4-2 victory against the worst team in the conference. Tonight, they take aim at the Texas Stars. While the record may not reflect it, the game tonight could be a challenge for the visitors. The Stars just broke up a six-game losing streak with a shootout win against the best team in the league. Further, they will be making the home debut of their new-look squad, featuring Mark McNeill and Dillon Heatherington. You can expect both to be in the lineup for the game. The Stars split their early season games against Grand Rapids in Michigan. Tonight's contest will pair with Wednesday's game to complete the season series between the two squads. Texas has traditionally had mixed success against the Griffins. The all-time record is 12-18-4 but the past five years have made up the majority of the losses with a 4-11-3 mark. The Stars did not win a single game against the Griffins last season. A trio of forwards lead the team in points with Matt Lorito, Ben Street and Martin Frk all checking in above 40 points on the season. Another notable is Robbie Russo, a stout defender who had the best plus-minus in the league last year as a rookie, and this year has found an offensive touch as well (7-24=31). The Stars will be without Remi Elie and potentially Denis Gurianov as well. Forward lines have been bolstered by the addition of McNeill however, which allowed Texas to release Brendan O'Donnell yesterday. The Dallas and Texas Stars made a trio of roster moves this morning following the NHL trade deadline, the injury of Antoine Roussel and Texas's return from a season-long road trip. First, the Dallas Stars recalled Remi Elie in response to the injury to Antoine Roussel last night against the Islanders. Roussel is expected to be out for 6-8 weeks with a hand injury, essentially ending his season. Next, Texas released defenseman Aaron Harstad and forward Brendan O'Donnell from their PTOs with the club. 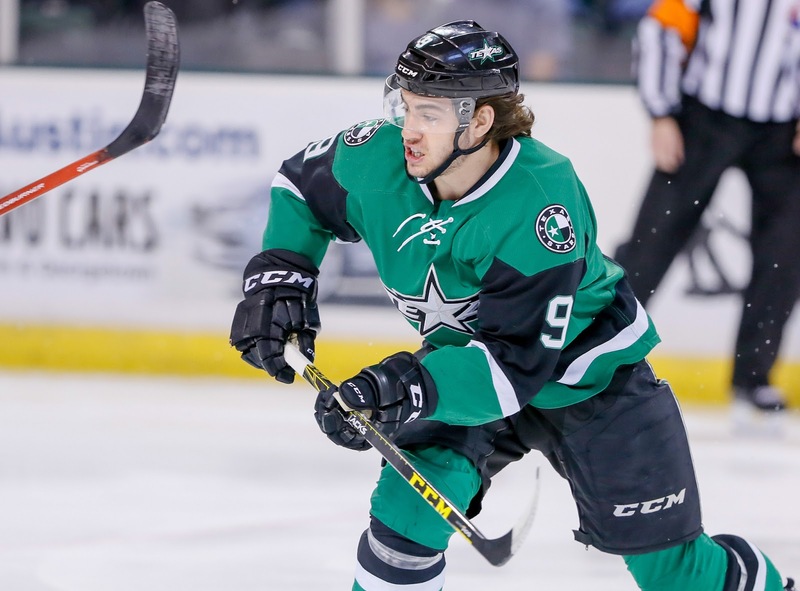 Dallas Stars General Manager Jim Nill announced today that the club has recalled left wing Remi Elie from the Texas Stars, Dallas' top development affiliate in the American Hockey League. Texas has also released defenseman Aaron Harstad and forward Brendan O’Donnell from their professional tryout agreements. Elie, 21, is tied for sixth on Texas with 25 points (8-17=25) in 50 games played this season. He has produced five points (2-3=5) in his last eight contests. In two professional seasons with Texas, he has registered 42 points (14-28=42) in 114 regular season games. Harstad (HAR-stad), 22, joined the Stars after appearing in 37 ECHL games this season, 33 with the Norfolk Admirals and four with the Idaho Steelheads. The 6-foot-3, 210-pound blueliner competed in 26 games last season for the AHL’s Manitoba Moose, recording four assists. Harstad appeared in two games for the Stars during his tryout. O’Donnell, 24, joined the Stars from the ECHL’s Florida Everblades, where he was playing his second professional season. At the time of his call-up, the 6-foot, 190-pound forward was fourth in the ECHL with 55 points (29-26=55) in 42 games with Florida. O’Donnell’s 29 goals this year were second overall in the league. He appeared in six games during his time with Texas. He was a sixth-round draft pick of the Tampa Bay Lightning in 2010. Dallas and Texas fans alike are familiar with the struggles of below league average goaltending. Between Lehtonen, Niemi, Peters, Lagace and Desrosiers, this season has not been kind between the pipes. There is much lamentation over the lack of future goalie prospects in the pipeline. However, the next project is already in the system and having a pretty significant amount of success at the ECHL level. Landon Bow, who played a bit at the AHL level this season, is the second-best goalie in the entire ECHL as of this writing. He's 14-4-2 with a .931 SV% and 2.21 GAA. He's also notched two shutouts. The only man better than him is veteran Riley Gill of the Allen Americans, a team that is playing against questionable competition on a near nightly basis. In response to any of the number of rebuttals that you've surely queued up in your mind, I offer a few thoughts. First, Landon Bow has an NHL frame. He's 6'5" and weighs 210 lbs. Nowadays, that's what an NHL goalie looks like. You may be thinking that he was unimpressive in his first stint in the AHL (7-7-0, 3.17, .894). I would counter that he is just 21 years old, a rookie in the ECHL and AHL. Also, take a look at the numbers for every other goalie who has played for Texas this season and ask yourself if it's the system or the goalie that is driving those results. For what it's worth, Bow has the best GAA, SV% and win/loss ratio of any Texas Stars goalie this season. As they say in the lottery ads, you've got to play to win. At this point, Dallas could definitely use a win in the goalie development arena. Landon Bow could be their man. In an unexpected turn, the Texas Stars ended the San Jose Sharks 14-game winning streak with a 2-1 shootout win in California tonight. Texas was on a six-game losing streak of its own coming into the night and looking to avoid a franchise-worst seventh. Maybe something got thrown off by the fact the game was played at the Barracuda's practice rink, but whatever it was, Texas will take it. Ethan Werek scored the only goal of regulation for the Stars, notching his tally on a rebound of a Julius Honka point shot. Ryan Carpenter scored to even things up midway through the third period. Justin Peters and Troy Grosenick kept it tight otherwise. Peters stopped 43 shots while Grosenick deflected 37. Ethan Werek was the only player to score in the shootout. His tally came in the fourth round. The Stars now return home after a 1-5 road trip to face the Grand Rapids Griffins on Saturday. 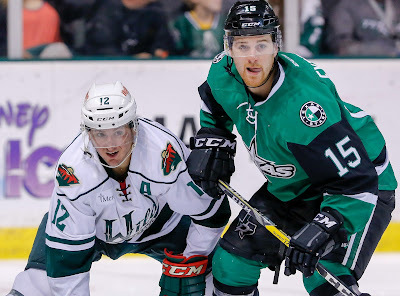 The Texas Stars added another piece today in the final minutes of the trade deadline. Sending Lauri Korpikoski to Columbus yielded Dillon Heatherington, a second-year pro defenseman who won the Cup last season with Lake Erie. He will be assigned to Texas and will likely join the team in time for Saturday's game. Dallas Stars General Manager Jim Nill announced today that the club has acquired defenseman Dillon Heatherington from the Columbus Blue Jackets in exchange for left wing Lauri Korpikoski. Heatherington, 21, has produced six points (1-5=6) in 38 games played for Cleveland of the American Hockey League (AHL) this season. Last season was his first full professional campaign and he helped Lake Erie to the Calder Cup championship, appearing in 15 playoff contests and recording three assists (0-3=3). In total, he has appeared in 104 career AHL regular season games and has posted 26 points (4-22=26). He will report to Texas, Dallas' top development affiliate in the AHL. The 6-foot-4, 215-pound native of Calgary, Alberta was originally selected by Columbus in the second round (50th overall) of the 2013 NHL Draft. Korpikoski, 30, recorded 20 points (8-12=20) in 60 games played for the Stars this season. The 6-foot-1, 195-pound native of Turku, Finland was signed as a free agent by Dallas on Oct. 10, 2016. UPDATE: Remi Elie was actually assigned to Texas today, not a paper transaction. Texas adds Mark McNeill and gets Matt Mangene back from suspension tonight. But will either be enouhg to avoid their franchise-record seventh straight loss. The likelihood is high for the seventh in the row, given the quick travel coming on the heels of a game in Bako and the opponent. San Jose has throttled opponents en route to a 14-game winning streak, which includes the Texas Stars. Is 15 in the cards tonight?